Known as “CC” among her DFA peers, Catherine aims to use human-centered design to aid underprivileged communities by finding and implementing sustainable solutions. As a Design for America Fellow, she seeks to be an empathetic supporter to help studios achieve their potential to become change makers in their own way. Graduating from Northwestern University with a degree in social policy and a minor in international studies, she believes that innovative work comes through interdisciplinary collaboration and active patience. I fell in love with DFA for its diverse, creative community and for its mission to create social impact through human-centered design. I was inspired by how the DFA community united students with different backgrounds under the goal to create tangible local, social impact. Learning the human-centered design process fundamentally changed the way I think by challenging myself to see opportunities in every issue I approach. What you’re most excited about as a fellow? I am most excited to foster strong connections among DFA studios and members to create an active national community. I’m excited to support all members to find avenues that can help their personal and professional growth from their peers in the DFA network! I am absolutely in love with dinosaurs and draw and build dinosaurs out of almost anything. My favorite medium are pipe cleaners! Allison seeks to design for learning and play to help us better understand each other and the world around us. 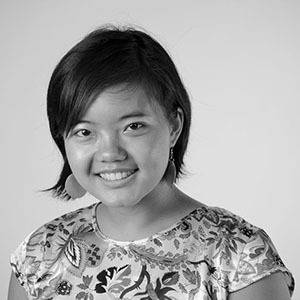 As a Design for America Fellow she works with student leaders in human-centered design across the country to tackle local and social issues. 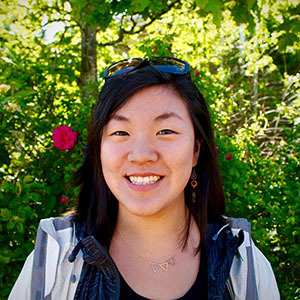 While studying Industrial Design at RISD she co-led the DFA RISD/Brown studio, worked on STEAM learning tools, and helped build a solar-powered house. Children are her favorite users, and she enjoys designing for the inner child in us all. I just graduated from Rhode Island School of Design (RISD) with a BFA in Industrial Design. While there I also explored architecture, illustration, graphic design, and creative writing. Why did you join DFA? As a student, I joined DFA because I believed the craft and thoughtfulness that goes into design should be available to everyone, not only those who can afford it. After attending DFA workshops I fell in love with the human-centered design process for its ability to develop solutions that put users at the forefront. What you're most excited about as a fellow? Especially after Leadership Studio, I'm excited to meet and work with all the DFAers in this extensive network. It's amazing how creative and passionate these students are, and I hope to provide the resources and support they need to help them grow - as DFA studios, human-centered designers, and individuals. I like splitting my cupcakes in half so that the frosting is sandwiched between the cake. It's cleaner and more delicious!